Give me lipsticks and pretty pink blushes and you’ve won over my heart, seriously. If I’m at a makeup counter, you’ll probably find me at the blush stand with major heart eyed emoji eyes. Over the years I’ve grown quite the blush collection, with MAC being my favourites and most used. I remember buying my first one back from when they did the Wonder Woman collection (major throwback!) and it’s been an ever-growing love since. 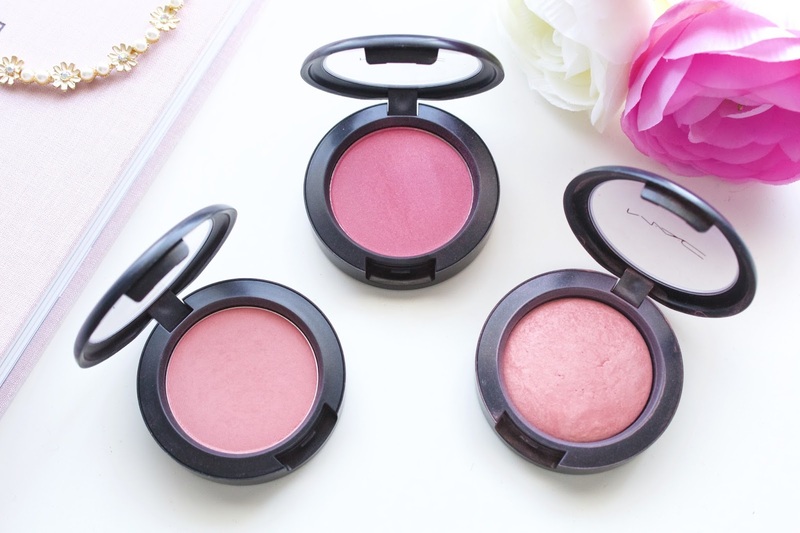 Today I thought I’d share with you my top 3 MAC blushes as it may be helpful to someone on the market for one, or for fellow blush lovers just fancying a browse! The quality and colour variety is the thing that really makes MAC blushes stand out to me, whatever colour you want, I can almost guarantee MAC sell it. The lasting power is so good, and I’ve never had to reapply throughout the day before and can leave the house knowing my blush will last all day and still be intact when I get home. You can also buy them in pan form and build your own palette, perfect for makeup artists and storage saving, but I personally prefer them in the cases. Fleur Power is a beautiful matte warm peachy pink, and an incredibly easy colour to wear. If you’re new to blush, I think this colour would be a safe choice as it matches a variety of skin tones and isn’t too bright and perfect for everyday wear. This is the blush I usually pair lightly with a brightly coloured eye. Isn’t she beautiful. Dollymix was on my wishlist for ages and then my sister got it for me on my birthday, I was over the moon! Whilst it can look rather scary in the pan, once applied to the cheeks with a light hand Dollymix adds the perfect pop of pink to the cheeks, and more wearable than you may have first thought – don’t worry, you won’t be looking like a clown thats escaped some horror film in this. It looks beautiful on both light and dark skins, such a girly pink shade. If somebody asks me what blush I’m wearing, 99% of the time it’s this. Dainty is my absolute favourite out of all the blushes I own – I know, I never thought I’d find the day of having an absolute favourite life saving blush, but I have! I wear this blush more than I really should, but it’s just so beautiful. Dainty is a light to medium warm toned pink with very subtle shimmer which is more visible in the pan than on the cheeks. It’s from the Mineralize line, which is made up of baked minerals refined into a powder blush formula that provides lightweight yet buildable colours with a luminous pearlised shimmer. 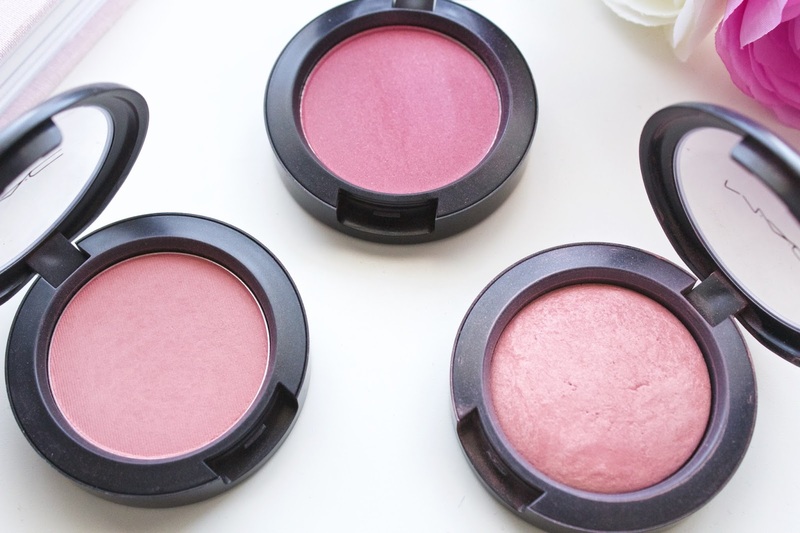 I love the formula of the Mineralize blushes, and really recommend them. Hope you enjoyed this post, and found it somewhat helpful or interesting! What’s your all time favourite blush? 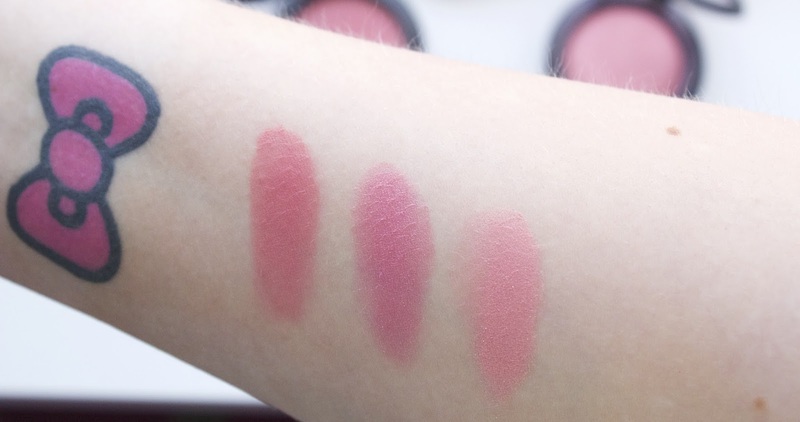 And if you have any MAC blushes, what’s your favourite colour? Leave me suggestions below!